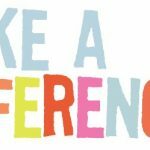 The Make A Difference Movement started 4 years ago as a simple idea that we can all make a difference for each other by just trying. The growth of the movement has been fantastic reaching people all over the world through simple actions of generosity or positive behaviour. The act of reaching out to help another person creates great feelings that are shared by both parties creating a flow of positive emotion. There are many that ask the question – How can I participate? So we created a vehicle that everyone can understand, participate and enjoy. The MAD Movement day is the simple concept where each person reaches out to another person that has Made A Difference in their lives letting them know how much they appreciate their efforts and how it made them feel. The day takes place on November 8th, 2012 and we are looking to have a wave of positive feelings sweep across the world. November 8th 2012: Make A Difference Day. Please reach out person / people to let them know how they made a difference in your life. The person you call and the things you say will Make A Difference to the person receiving the call. This will create a Tsunami of positive feelings building and moving the MAD Movement. Please join us on November 8 to build the Make A Difference movement by reaching out to that special person in your life…mother, father, brother, teacher, son etc.